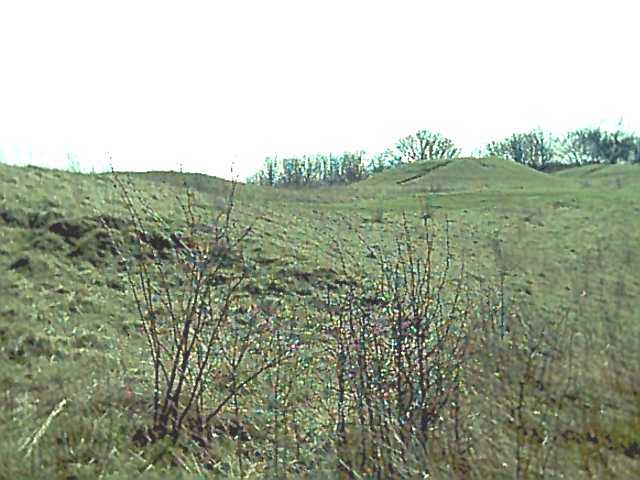 There are five immediately obvious bell and bowl-barrows in this group, but there are possibly two pond barrows here as well, although these have never been confirmed by excavation. 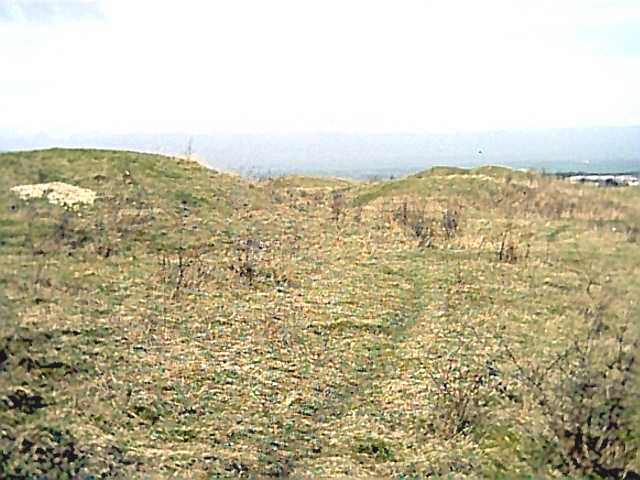 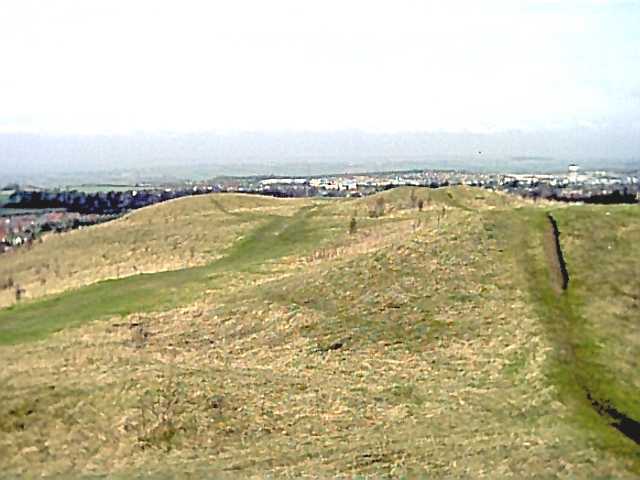 Four of the barrows lie in a line oriented more or less north-south, with the fifth, northernmost, barrow offset slightly to the west of their line. 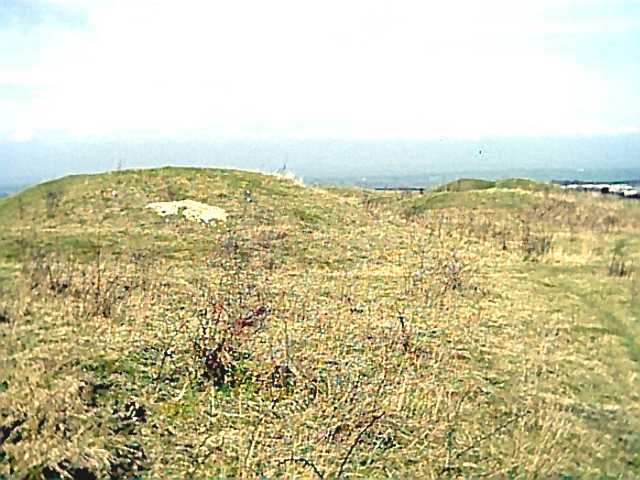 This last barrow is actually the oldest of the group, dating from the late-Neolithic period, around 2200 BC. 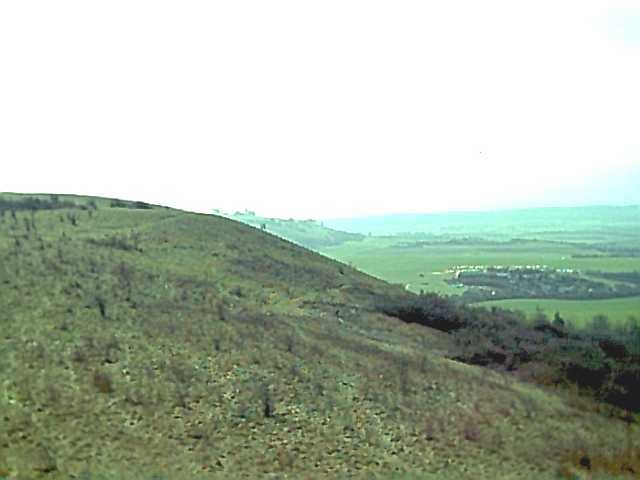 It contained a crouched inhumation accompanied by a long flint blade-flake with one edge ground smooth. 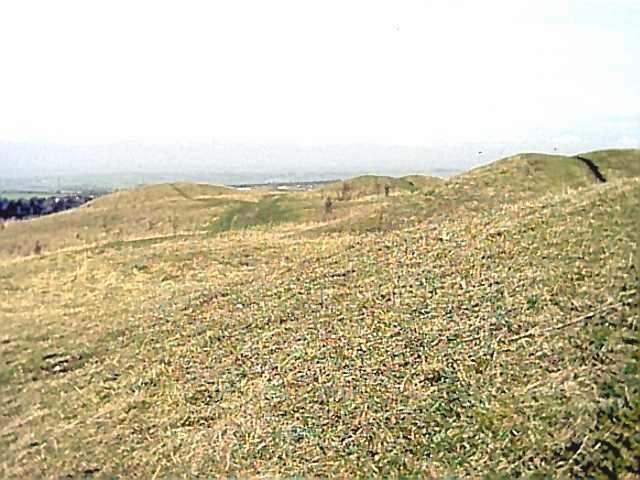 A secondary cremation, contained in a collared urn, had been added to this barrow in about 1500 BC. 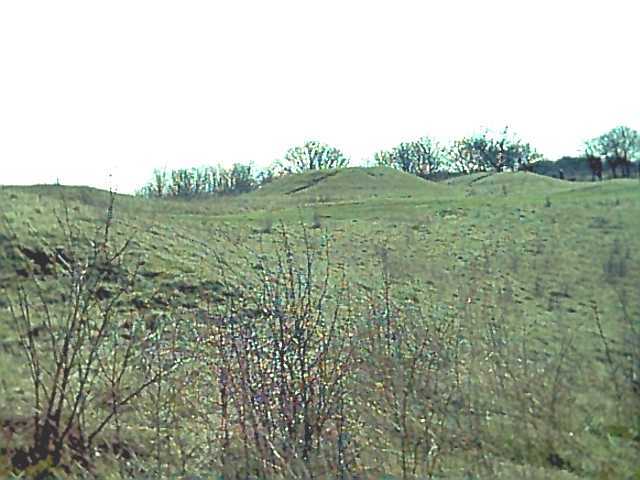 The other barrows in the group seem to date from early in the Bronze Age, around 2000 - 1800 BC. 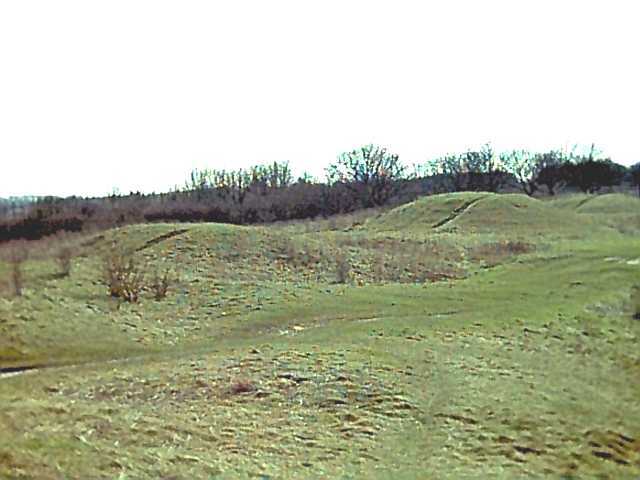 Because the burial-mounds are right on the edge of the town, the location is easily accessible and well-frequented. 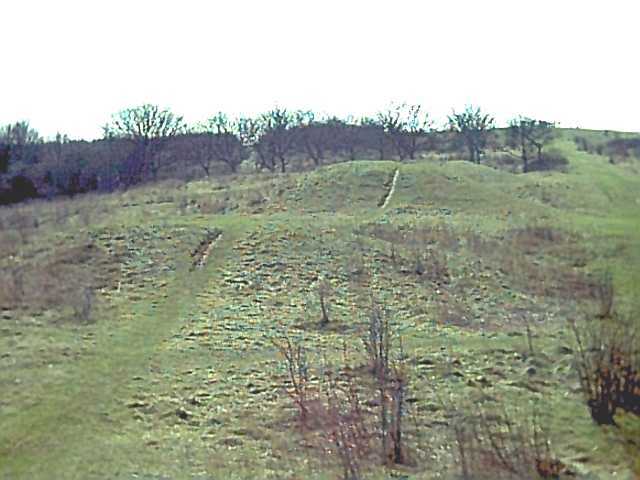 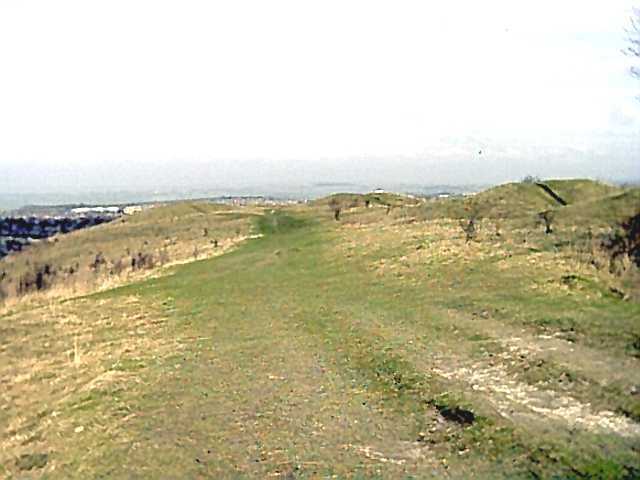 Unfortunately this means the barrows have sustained considerable damage where walkers and cyclists have climbed or ridden over them... you can see in the photos an eroded path, quite deep in places, crossing the crests of the mounds. 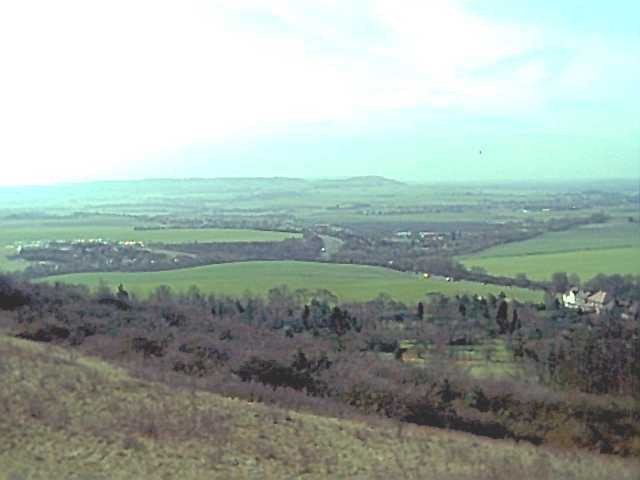 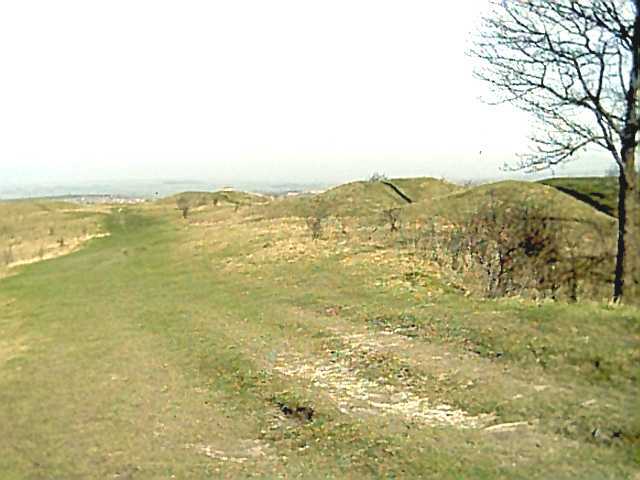 Looking S along the downs.